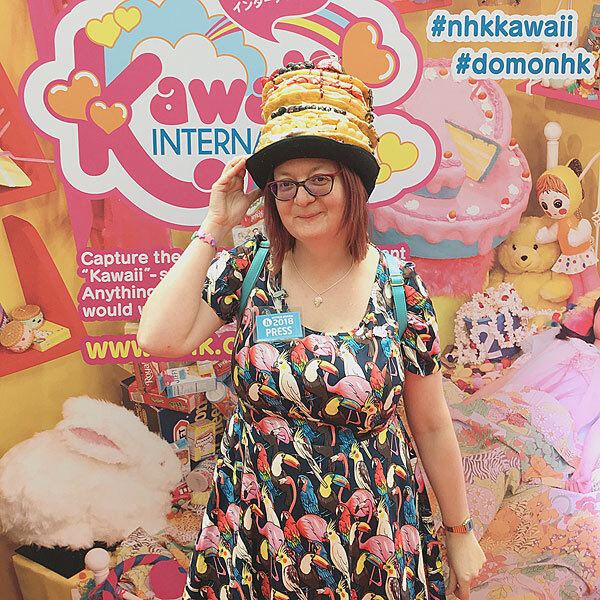 Hyper Japan 2018 Recap - Super Cute Kawaii!! 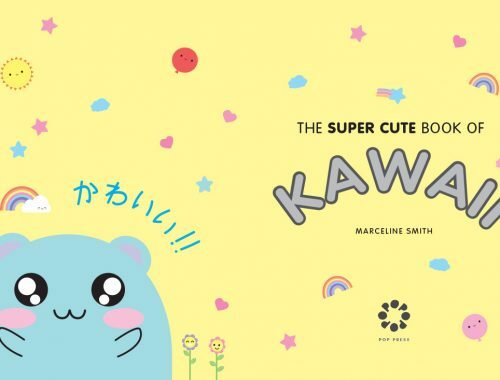 Hyper Japan is a highlight of the SCK calendar and this summer’s event was at a new venue with all the usual kawaii shops, performers, workshops and more. 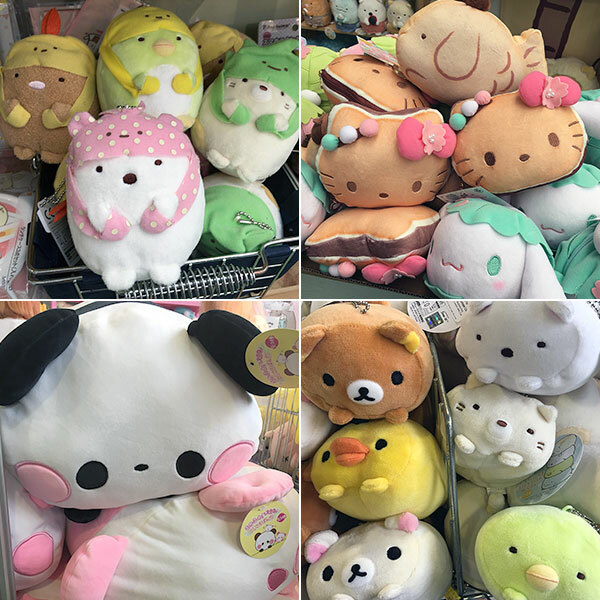 After a bit of a nightmare journey I finally made it to Hyper Japan at Olympia and headed straight for the ARTBOX Sensory Squishy & Mochi Plush Area to squish all the mochis – they’re just so soft! 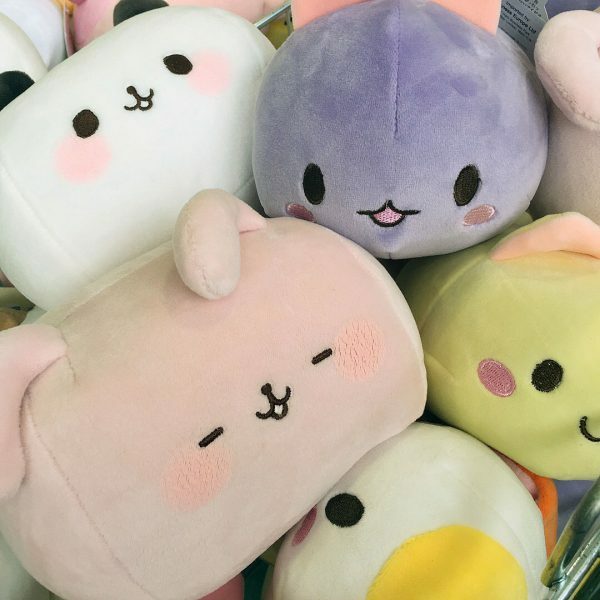 There were cute Rilakkuma and Sumikko Gurashi mochis but I completely fell in love with an adorable little mochi panda and had to take him home. 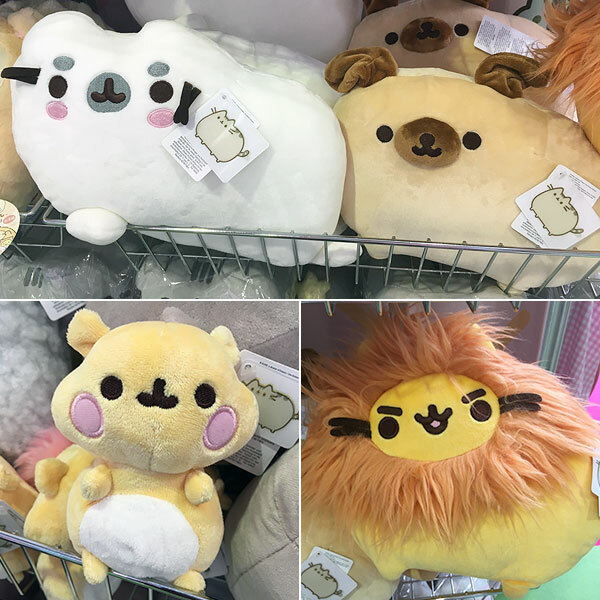 I was also excited to see some of the new Pusheenimals, including the lion, pug and seal plushies, plus hamster friend Cheeks! 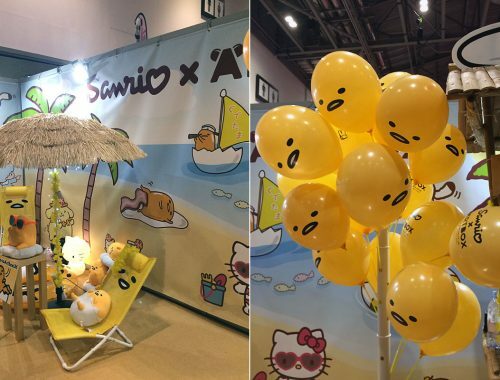 The larger ARTBOX stall featured all the Sanrio characters and I was very tempted by some Pompompurin shorts and fun face packs. 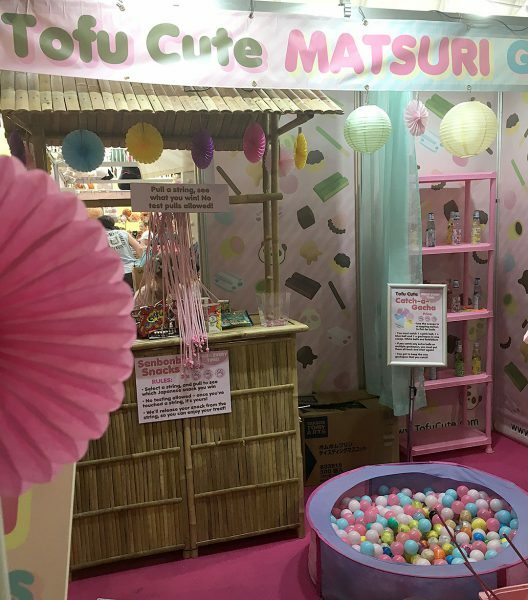 Tofu Cute had a Matsuri area with three fun games to play: Ramune Ring Toss, Catch-a-gacha and Senbonbiki Snacks. I decided not to do the Ring Toss as I’m useless at throwing stuff and tried out the other two games. 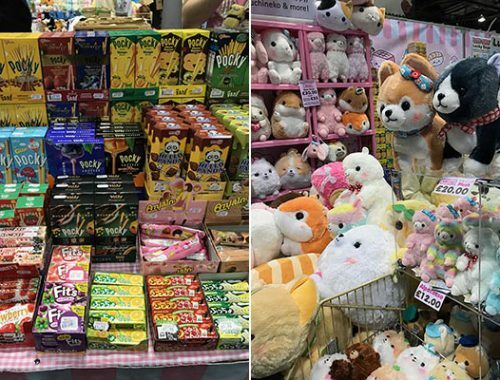 Senbonbiki Snacks featured some Japanese snacks tied to strings and you just pulled one to win a prize! 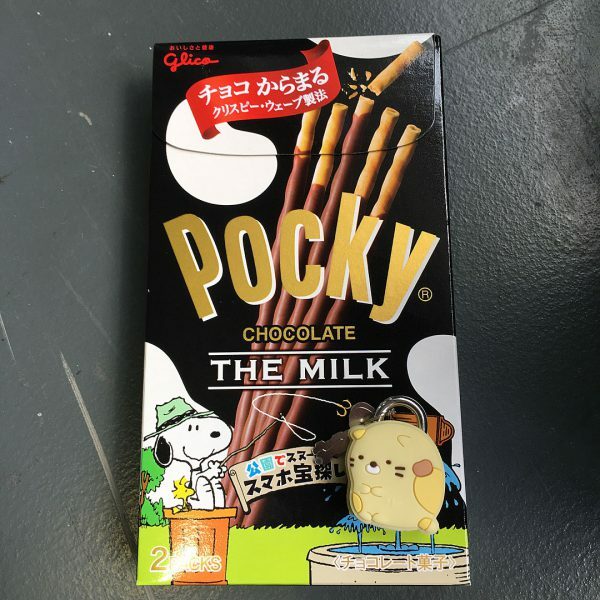 I got some Snoopy Pocky so I was pleased with that. 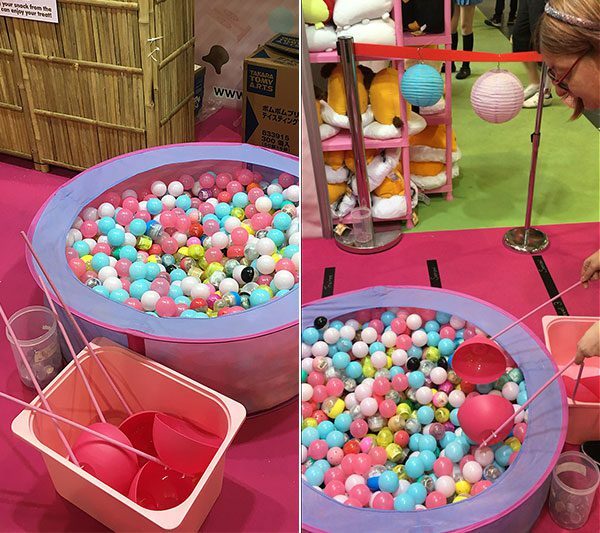 The Catch-a-gacha was a little more tricky in that you had to catch one pink ball and one blue ball along with a gachapon whilst avoiding the white balls which was actually harder than it sounds! 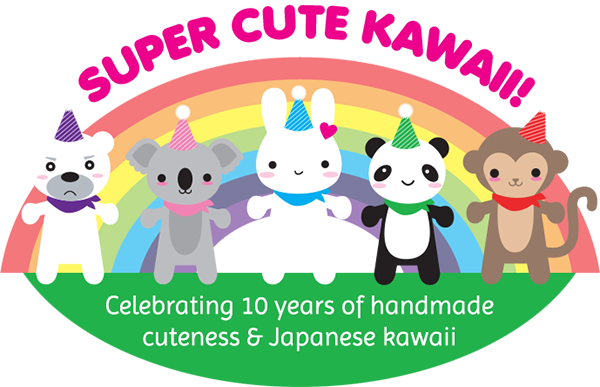 I managed it in the end though and won a tiny Sumikko Gurashi padlock. It was really well done and I enjoyed playing both the games. As I browsed the stalls a giant stack of pancakes caught my eye over at the NHK stand. 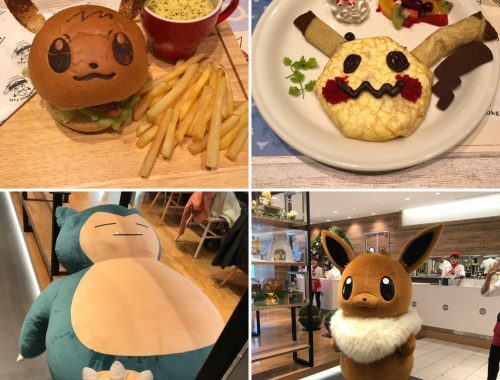 Sadly they weren’t edible as they were actually a hat! Obviously I couldn’t pass up the chance to wear a pancake stack on my head so posed for some hilarious photos. Those delicious looking pancakes were making me hungry so I headed up to the food court for a wheelcake. 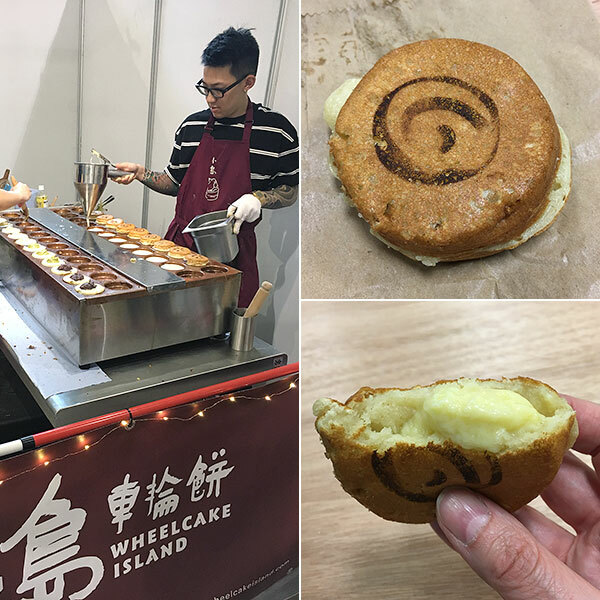 These are traditional Taiwanese thick fluffy pancakes with a filling inside. I went for the vanilla custard and it was so yummy! 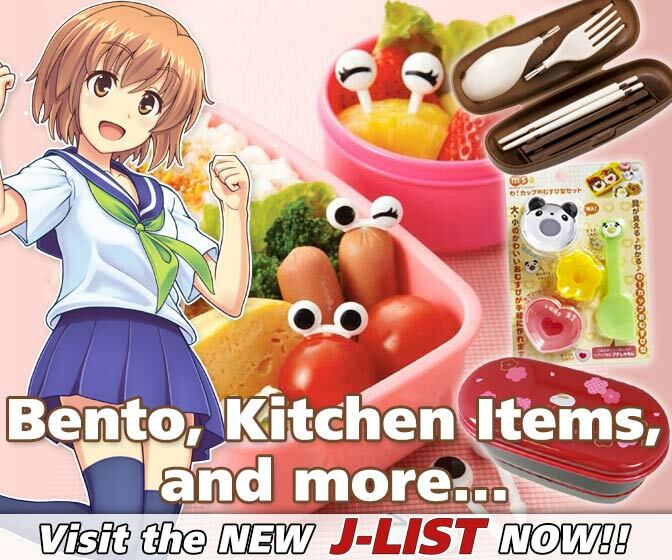 I noticed a lot of interesting stalls upstairs and made a note to return the next day to check them out. 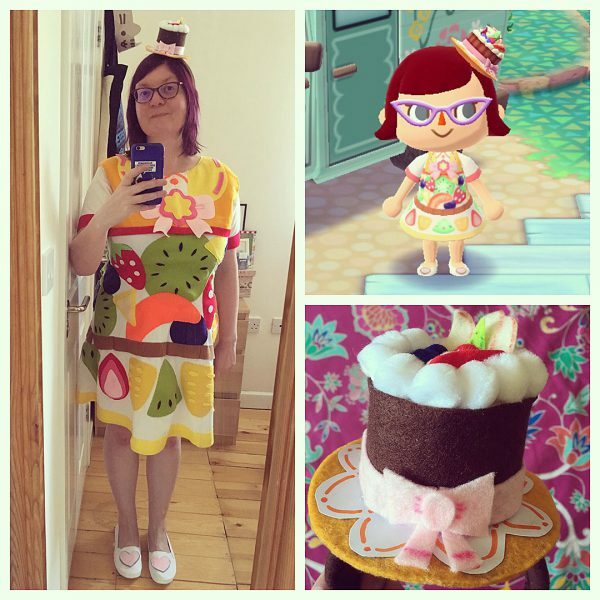 I’ve always wanted to try cosplay so decided I would dress up as my Animal Crossing Pocket Camp character in my favourite outfit, the fruit-tart dress and matching hat. It was a lot of work to sew all the different elements into the dress but I was really happy with the end result and had so many nice comments – thank you all so much! 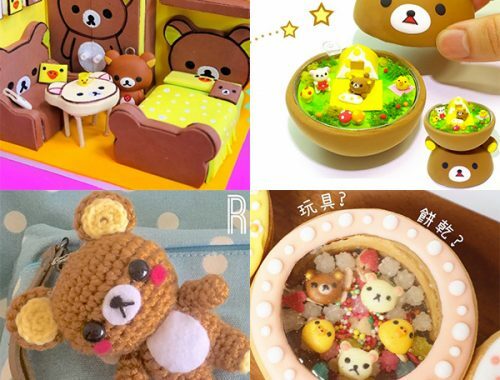 I felt bad about not doing the Ring Toss game on Saturday so held a poll on Instagram to see if I should do it today and the answer was a resounding yes! 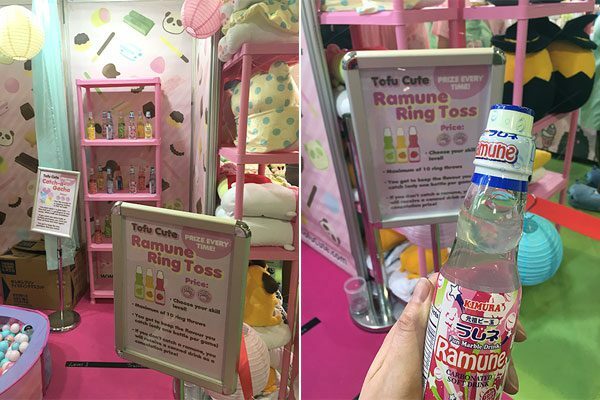 I was pretty rubbish at it but got lucky and managed to get rings on two bottles so I was happy with my lychee Ramune. As I’d spent most of my time downstairs on Saturday, I headed upstairs where most of the smaller shops and independent designers had their stalls. 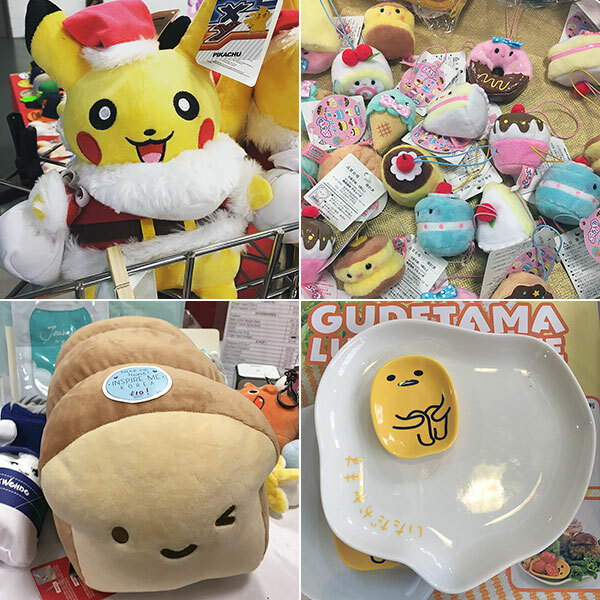 I loved the tiny Amuse dessert plushies and Santa Pikachu! 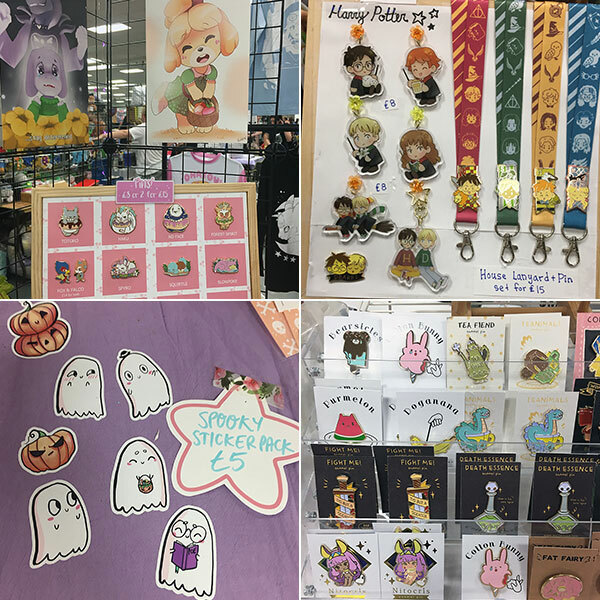 There were a lot of cool items which caught my eye including Harry Potter lanyards by Mojgon, awesome Pokemon and Ghibli inspired pins and Isabelle print by Ohayou! 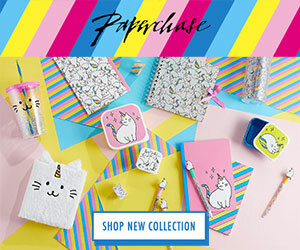 Clothing, spooky cute ghost stickers by Amy Blue and kawaii food animal pins by Banana Clover – I couldn’t resist adding the Bearsicle pin to my collection. 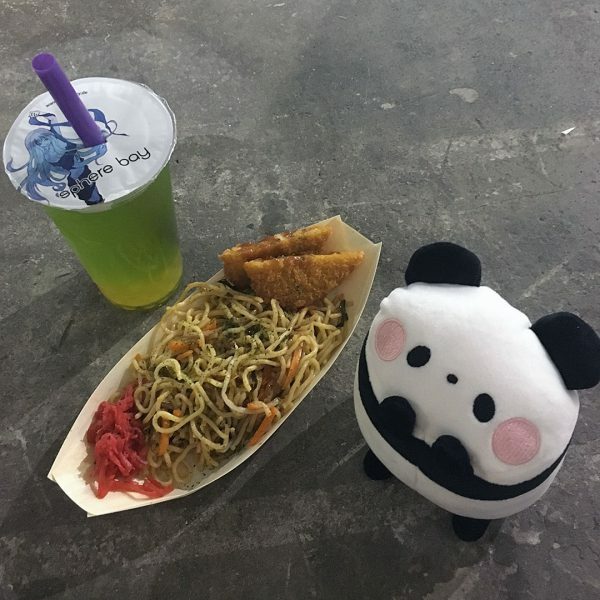 After some food and a last look round the stalls, I bought a couple more cans of Pokémon soda from Tofu Cute and then it was time for me and Mochi Panda to say goodbye to Hyper Japan festival and head home. 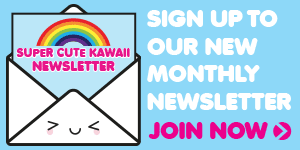 You can view lots more photos and videos in our archived Instagram story and Facebook album. 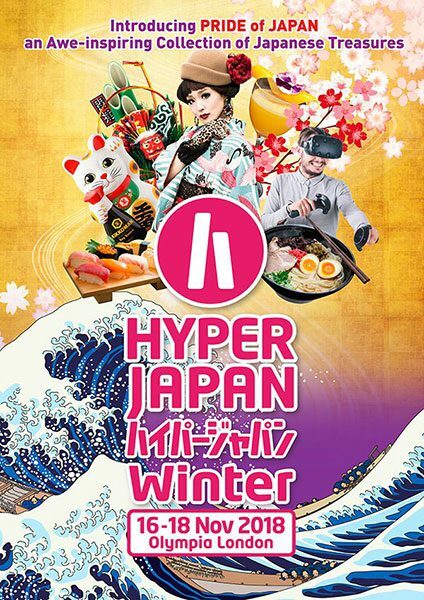 Hyper Japan‘s Winter Festival will be back at Olympia London over the weekend of 16-18 November. 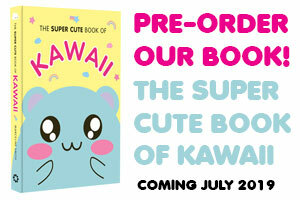 You can follow them on Facebook, Twitter or Instagram for updates nearer the time.